Adriel assists the firm with various projects throughout its practice areas. He is working with clients from all sectors of industry and not-for-profits organizations. Adriel works with both the Government Affairs practice and the Hospitality Practice. In law school,Adriel prepared hearing documents for the New York State Department of Health in patient protection matters. He is a former member of the inaugural class of fellows for the Government Law Center, a non-partisan think-tank and mentoring hub. Adriel is a board member of the Capital District Black and Hispanic Bar Association, an organization committed to advancing the interests of attorneys of color in the Capital District. 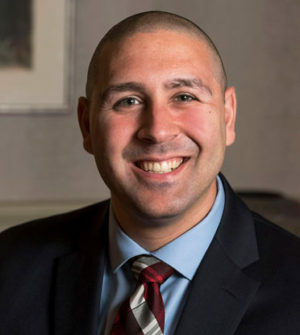 He received a competitive scholarship from the Puerto Rican Bar Association and remains active as an Albany Law alumnus. Before law school,Adriel acquired five years of practical experience employed in a variety of industries. In his spare time, Adriel likes to paint and sculpt.